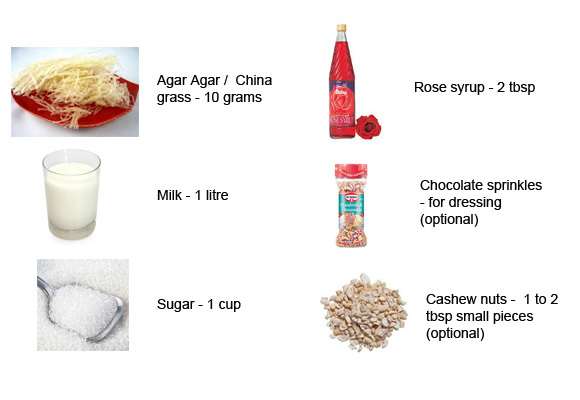 Agar Agar/China Grass is a type of grass used for making pudding, refreshing drinks and vegetarian Jelly. 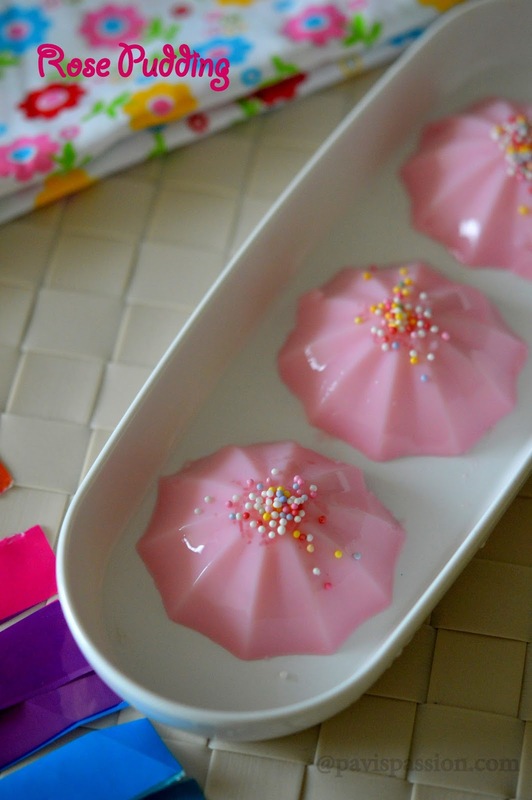 It a summer time refreshing pudding used to reduce the body heat. It have lots of medical benefits such as used to treat diabetics, constipation and also used for weight loss. This grass can be used for use of medicinal purposes. 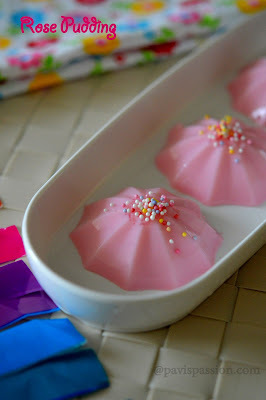 I have already shared a Vegan Jelly recipe using this Agar Agar china grass. Now I am sharing this classic pudding recipe will made you feel refreshed during this Hot summer. Make for your children they love them very much and it will be very healthy for them. You can make this Rose pudding for Party Starters. 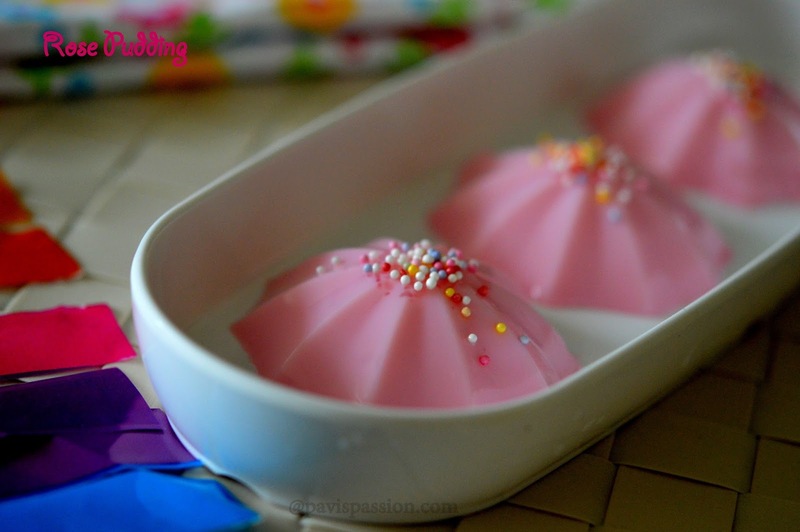 You can make it very easily and present this pudding in any shape as you desire. Hope This post will be best summer time refreshing for you. 1. First take 10 grams of Agar agar/ china grass in a bowl and soak it completely immerse in water for 10 mins. Boil the 1 litre of milk in a pan. 2. When it starts boil add the soaked agar agar(drain water completely from it) into it. Stir the milk continuously until the Agar Agar completely get dissolved in the milk. Make sure that it completely dissolved, Then add a cup of sugar into it. 3. 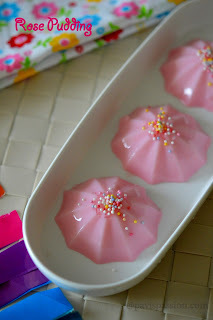 When sugar get completely dissolves , add rose syrup into it. Mix thoroughly and switch off the flame. Pour over bowls of any shapes you like or simple a square pan. Allow it to cool completely, it will be solid form. Now your pudding is ready , cut it into desired shape. You can keep this it in fridge for 3 days and serve it any time chilled. You can make topping with chocolate sprinkles, creams or any nuts of you choice. 1. You can replace any flavour like mango, vanilla instead for rose syrup. 2. You can add all kind of crushed nuts for adding more taste. 3. For mango flavour, you can add mango pulp in the milk instead of rose syrup, gives you natural mango taste.